Over the past couple of months we have been sharing interviews with travelers and bloggers with you. 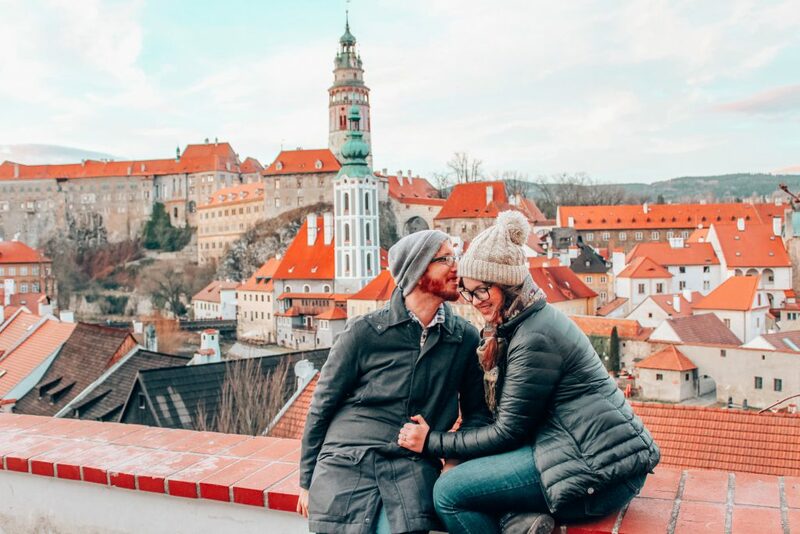 We are excited to bring you another blog post in our popular travel interview series this week — this time with Lia and Jeremy of Practical Wanderlust. Lia and Jeremy spent five months of their year-long honeymoon in South America, exploring Argentina, Chile, Colombia, Ecuador and Peru. What’s the biggest budgeting tip that you would give to someone headed to South America? Certain countries in South America are very inexpensive (such as Colombia, Ecuador, and Bolivia) but others are far more costly than you might expect, particularly Chile and Argentina! I recommend doing some research about typical expenses in the countries you plan to visit in order to budget accordingly. Also, don’t forget to account for tours and experiences in your projected budget! For example, Peru is very inexpensive, but doing a guided tour or hiking the Inca Trail to Machu Picchu will cost you quite a bit and raise your overall expenses. 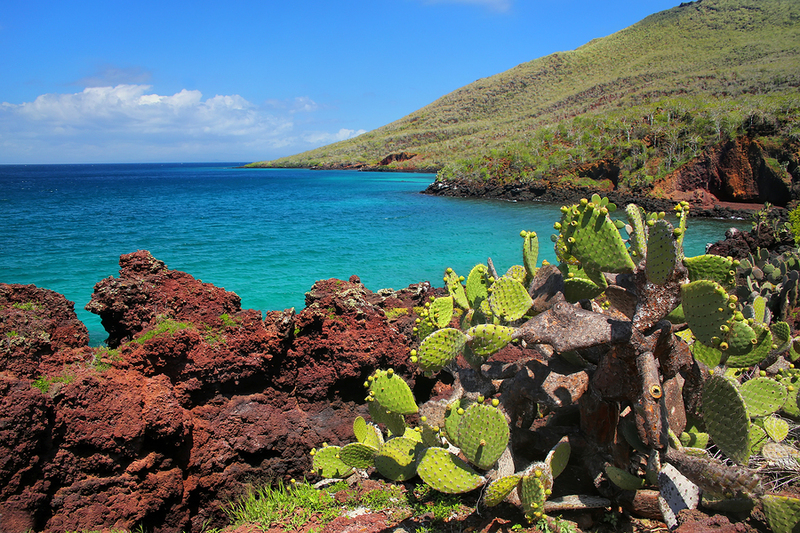 Ecuador is similar: everywhere but the Galapagos is inexpensive, but visit the Galapagos and your costs may end up doubling. That said, although those experiences will raise your overall trip cost, they’re SO worth it – don’t miss out! Just budget accordingly. Are there any money saving tips that you would share on getting around/backpacking in South American countries? Shop at the local mercados for food. The mercados are a great way to peek into local life and culture. They’re usually home to the best street food in town, the meat and produce is incredibly fresh, the prices can’t be beaten (they’re SO much cheaper than supermarkets), and you’ll find local specialties and snacks that aren’t available on supermarket shelves. Cook some of your meals in your hostel. Hostels have kitchens for a reason — shop at a mercado for ingredients and cook your dinner in the hostel kitchen! Most hostels in South America also include free breakfast. We found that eating at a restaurant once per day was a great way to save money while allowing us ample opportunity to stuff our faces with local food. Order the “almuerzo.” We recommend only eating out for one meal per day — and that meal is lunch! In most parts of South America you’ll find set lunches, aka “almuerzos,” offered at a super cheap rate. You’ll basically be given a couple of options for your plate, and then you’ll be served 2-3 courses: typically soup, your chosen entree, and then dessert. Almuerzos are the cheapest meal of the day and they’ll keep you full for hours! Take local transit. Taking taxis to get around cities like Lima or Quito will get very expensive quickly, especially because you’ll be paying the “gringo tax” on every unmetered cab. Instead, take local transit: local buses, colectivos, combis, moto-taxis, or even the gondola in Medellin. They might get you there a little later than a taxi but you’ll get a chance to meet some locals and practice your Spanish. Do you have any tips for people searching for cheap hostels or accommodation in South America? Would there be any red flags to look out for? 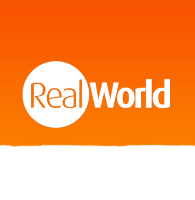 We used Hostelworld to book all of our hostels in South America and made sure to read the most recent reviews. We prefer to avoid party hostels, so we look for red flags in the reviews about things like “the social vibe” or lots of reviews from travelers much younger than us saying things like “so much fun, didn’t sleep much but had a blast!” If all of the photos on Hostelworld are pictures of groups of people drinking, we run the other way. That said, if you’re seeking a party hostel, do the exact opposite! Luckily, there are plenty of awesome hostels in South America where you can get a good night’s sleep AND make friends — our favorites are usually “eco-hostels” or hostels without WiFi — there’s a certain vibe cultivated in those places that we really dig. We also loved every hostel we stayed in that provided a family-style meal each night: it’s a fun way to make friends and meet people while also enjoying an inexpensive home-cooked meal. And if all else fails, just book the hostel with the cutest pet. Bonus points if it’s a llama. We see you went on a wine tasting trip to Mendoza. We love sending people on wine tours there. What was the biggest takeaway or thing that you learned there? We loved our experience in Mendoza with Mendoza Wine Camp! Takeaway #1 is that there is no greater wine pairing on earth than a rich, deep Malbec blend and a flaky beef empanada. Oh my goodness. Our other takeaway was that the history of Argentina’s wine industry is FASCINATING. 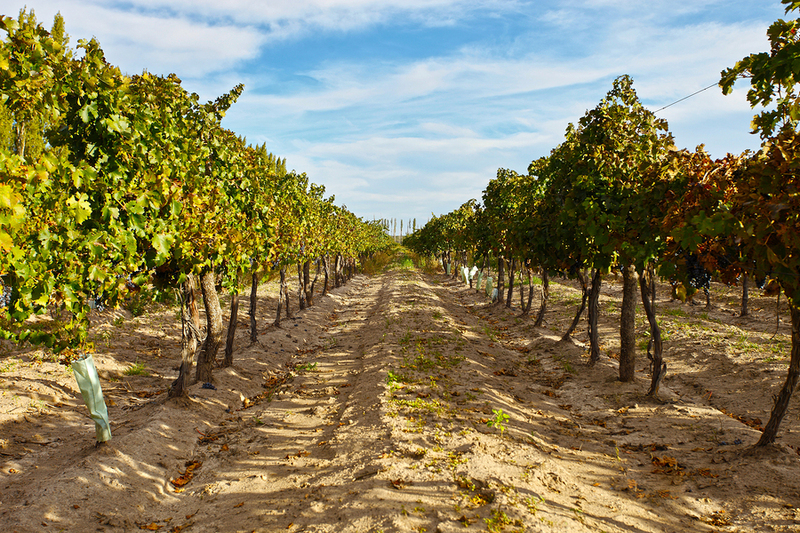 We didn’t realize that *good* wine is a relatively recent product in Argentina! Although terrible wine has been produced and drank in huge quantities for a very long time, nobody but Argentinians wanted to drink it. But now, wine is a huge export industry — and the quality can’t be beat! We highly recommend taking a tour to learn about the history of the industry — it was definitely very different (and, er, quite a bit more… colorful?) than other wine tasting tours we’ve taken. If you could only eat food from one country you visited in South America, for the rest of your life, which would it be and why? Argentina has the best food overall, hands down. From flaky empanadas to dulce de leche and alfajores, to the smoky grilled meats slathered in chimichurri sauce… it’s just insanely good. If you could bring back one bit of culture from Colombia, what would it be? That’s so difficult! It’s a tough call between salsa dancing and tejo, the national game in Colombia which involves gunpowder and beer and is incredibly awesome. I suppose since we already have salsa dancing outside of Colombia, I’d say tejo. It’s something that really needs to be experienced to be appreciated, I think. What is the biggest piece of advice you would give to someone about to start their four-day Inca Trail to Machu Picchu? Listen to your body and take your time! Hopefully you’ve been training like crazy, which was our big mistake before our hike. But don’t fight your body on the altitude — take your time, take lots of breaks, drink plenty of water… and drink ALL the coca tea. Seriously, it’s a godsend. Just remember that you’re doing a pilgrimage — the journey is necessary in order to fully appreciate the reward of arriving at your destination at the end. You can do it! 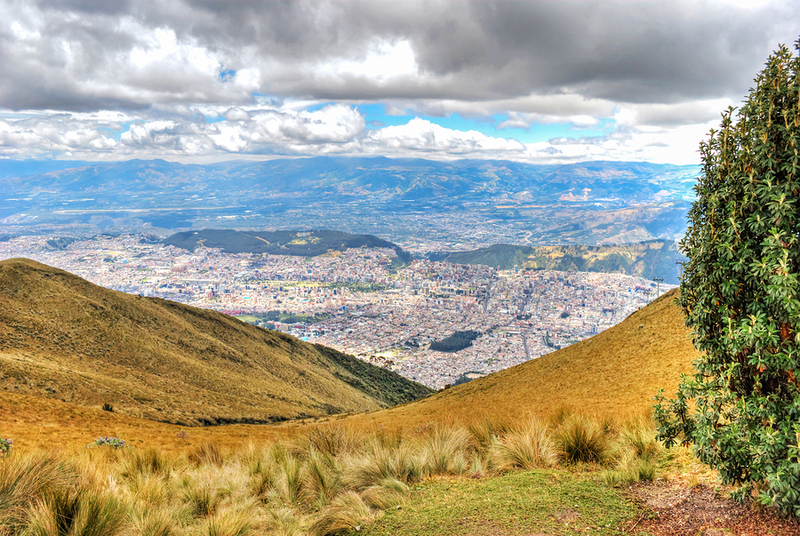 If there was a must-do attraction in Quito, that’s a little outside the normal tourist hotspots, what would it be? We really enjoyed taking the gondola up to the top of the Pichincha volcano. It’s freezing cold up there and you WILL feel the altitude, but hey, at least you didn’t have to hike up! In addition to beautiful views of the city wayyyyyy below you, there are some trails you can take to explore. We definitely weren’t up to a full hike, but we did do some meandering and managed to find a few fluffy llamas posing for photos with their adoring fans. That alone made the excursion worth it for us!